These loans are given by banks and mortgage companies and are based on the borrower's credit score, down payment and financial statements. Traditional loans come in all shapes and sizes, if they can qualify. 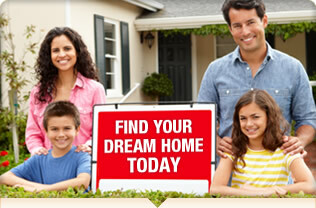 There are investor friendly programs offered through FHA, HUD and USDA. PROS: The interest rates are at market levels (3 – 6%) and the payments are amortized over a longer period of time (15 to 30 years). The down payment is flexible depending on the program (3.5% - 20%). CONS: A good credit history (minimum of 580), low debt-to-income ratios (maximum 33%) and proof of income are required to qualify. These types of loans take longer to close (average 21 days) and can have restrictions on the condition of the property. Investors are only allowed have a maximum of 10 properties under conventional financing at any given time. Some local banks and credit unions will finance properties in-house as opposed to selling them in the secondary mortgage market (Fannie Mae and Freddie Mac). PROS: The qualification requirements are set by the local lender and are often times based on the credit history with the investor and on the profitability versus risk of the investment property. Once a good relationship is established with the lender, these loans tend to close quickly (less than 15 days) and with more flexible terms. Some lenders will also include financing for rehab work. CONS: Many of these loans are short term (even less than a year). The loan rate and loan costs (points) will be higher than conventional financing. Think of hard money loans as loan sharks with better ethics. This type of financing comes from individuals who are seeking a high rate of return for their financial investment in your project. PROS: These wealthy benefactors rarely care about the credit score or even the financial situation of the borrower, they are primarily interested in the return on the investment. Loans are closed in a matter of days (average 72 hours). Down payments are negotiable and 100% financing is often available. CONS: The interest rate (10 – 18%) and closing costs (7 – 10% of the loan) are extremely high and will have an effect on the investors return. These loans are also very short (3 to 12 months). If the investor has a portfolio of properties, the equity in other properties can be accessed using a home equity loan or line of credit (HELOC). PROS: The turnaround time is quick and the line of credit remains open for other future investments. CONS: These loans have a slightly higher interest rate than conventional financing. High risk investments pass on that risk to the property used as collateral. Some investors locate financial partners who finance the purchase and receive a return on their investment upon the sale of the property. PROS: Since this is partnership rather than a "loan", the investment is not necessarily based on the credit history or finances of the rehabber. Terms, interest rates and payment schedules are negotiable. CONS: Not only do investors usually require interest be paid on the amount borrowed, but they also will receive a portion of the profits. A partner's involvement can often tie the hands of the rehabber. Using leverage is a classic way to increase an investor's return – if it is used with an understanding of both the benefits and the drawbacks. Financing for flipping houses opens the way to multiple simultaneous investments, further increasing the investor's profit margin.